A shining example of how an individual can influence a community, Fred Bridgewater has been many things to those who grew up in the Port Dover area. Whether it was hockey, baseball, or a community organization, Fred’s tireless work has bettered the life of many youths in Port Dover and beyond. A staple of minor hockey in Port Dover, Fred excelled as a player on many championship teams, but made his largest and most lasting mark once his playing days were over. In 1974 he joined the PDMHA executive and would be involved in some way or another for the next thirty years. An unwavering fundraiser, Fred’s events and ideas benefitted not only minor hockey, but also minor baseball, churches, and other community organizations. Fred was a major player in bringing junior hockey and minor baseball back to Port Dover and the formation of the “Additional Entry” teams to give more kids the opportunity to play. His efforts are reflected today in the athletes honing their skills at the Port Dover Arena and Henry Misner Park in Port Dover. Fellow inductee Jassen Cullimore is one who can attest to the benefit of the Fred Bridgewater Power Skating School. 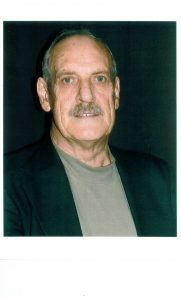 In fact, the profits from the Power Skating and Conditioning Schools Fred directed and ran for over 30 years paid off the final debt of the Port Dover Arena. Fred Bridgewater was a mentor and builder of sport in Norfolk County. He had baseball trophies named after him, organized countless tournaments, was recognized as a lifetime member of PDMHA, and was named as Port Dover’s top citizen in 1996.